Portable Air Conditioners Wiki • The Air Geeks, reviews of air conditioners, dehumidifiers and air purifiers. We received a lot of questions regarding Portable Air Conditioners in general, and while we are happy to answer to each and every one of our dear readers, we felt it lacked a real knowledge base regarding the use of Portable Air Conditioners on the internet. We wanted to provide the every day user with a handy answer to their most common questions in a easy-to-use manner. How does a portable AC work and cool the air? What is venting and how do portable air conditioners vent? Does a portable air conditioner need a window to work? Do portable air conditioners use a lot of electricity? Will a portable air conditioner cool multiple rooms? Will a portable air conditioner cool my entire house? Are portable air conditioners expensive to run? Do you have tricks to save money with air conditioners? Why do portable air conditioners have to be vented? Are portable air conditioners noisy? Do portable air conditioners use freon? How to vent a portable air conditioner? Do portable air conditioners drip water? Does my portable air conditioner need to be frequently serviced and cleaned? So with no further ado, let’s dive into your questions! ℹ️ It goes without saying, but let’s say it: we are not doctors or lawyers, and the following does not constitute legal or medical advice. When in doubt, please always stay on the safe side! Short version : ah! our favorite subject! Heat from air is absorbed by refrigerant. Find out more here! A portable air conditioning unit extracts hot air from your room and exhausts it to the outside to ensure that your space has the desired temperature. Just like central air conditioners or any other type of air conditioners, this self-contained cooling system uses a refrigerant to cool the air in your room. This fluid flows in the system and changes state during the cooling process. The heat that is extracted from your room is exhausted to the outside through an exhaust hose. A single-hose cooling system has one hose while a dual system has two. A sketch to understand how mobile ac units work! A portable air conditioning unit uses a fan to draw air into its cooling chamber. Most portable air conditioners have a filter that removes airborne particles from the incoming air. The incoming warm air is blown over the cooling coils. These coils contain a refrigerant that absorbs heat from the air making it cold. The heat absorbed from the warm air causes the refrigerant to evaporate. The cooled air is released back into your room. From the cooling coils, the vaporized refrigerant goes to the compressor. The compressor compresses the refrigerant and pumps it to the condenser coils. Here, the refrigerant loses its heat to the air. This hot air is exhausted to the outside through the exhaust hose. The refrigerant flows to the evaporator where it absorbs heat from incoming warm air for another cycle. 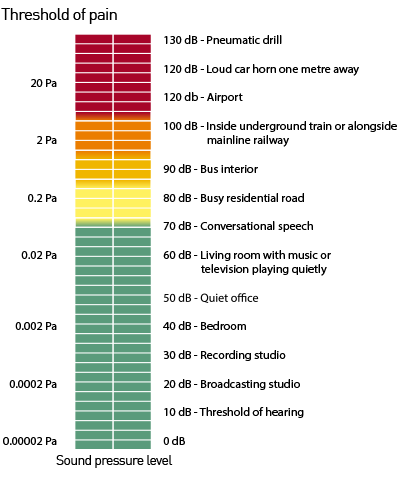 This cycle is repeated over and over until the desired temperature is achieved. If you are using a single hose portable air conditioner, the cooling process creates a negative pressure inside the house. As the air losses heat in the cooling coils, airborne moisture condenses on the coils. This water is channeled to a reservoir tank or an external sink. In high humidity environments, the system can capture a lot of water. When installed properly and serviced on regular basis, a portable air conditioner cools your room effectively to ensure that it has the desired environment. Short version : Venting is warm air escaping! ACs get the cold in and the warm out! A portable air conditioner allows you to move it from one space to another with ease and convenience. Unlike central or window air conditioners, a portable solution does not require permanent installation. The portability of this self-contained cooling system makes it a suitable solution for temporary cooling and for spaces where you cannot install other types of air conditioners. Portable air conditioning units use the same principle of operation as other air conditioners to ensure that your room has the desirable environment. This unit can vent hot air to the outside through a window or any other suitable opening. It comes with an easy to install window venting kit that is used for this purpose. You can unpack the system and set it up in a fraction of an hour. If you are planning to improve the environment of your space by adding a portable air conditioner, then it is important to consider the space where you intend to install your system. 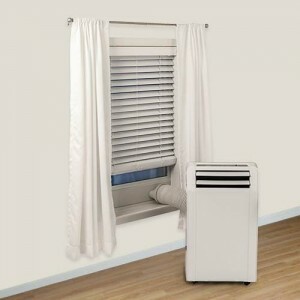 You can exhaust hot air from your room through a window, ceiling, wall, or a door. The kit is designed to fit well in standard windows. It is important to ensure that the venting kit of your portable system is installed properly. This enhances the effectiveness of your cooling unit. For best performance, you should ensure that the exhaust hose of your cooling system is not bent. If the hose is longer than you need, you can shorten it to ensure that it remains straight when installed. However, you should avoid extending the exhaust hose of your venting system. Extending the exhaust hose reduces the effectiveness of your cooling system. Although the venting systems of most portable units are installed the same way, it is important to follow the instructions provided by the manufacturer. This helps to maximize the effectiveness of your cooling system and ensure that it serves you for a long time. → Find the best portable air conditioner here! Short version : yes! In most cases. But it is generally easy to hook it up. Find out how! If you are planning to improve the environment of your home by adding a portable air conditioner, then it is important to consider where you will install it. Unlike central air conditioning systems, portable air conditioners do not require permanent installation and they can, therefore, be moved from one room to another. This, also, means that you can unpack and install your unit in a fraction of an hour without needing to involve an expert. Nevertheless, a portable unit requires a venting opening, usually a window, ceiling, or any other suitable opening. It is through this opening that the unit vents out hot air from your space to the outside environment, thereby ensuring that your room has the desirable temperature. A portable air conditioner improves the environment of your space by extracting hot air and channeling it outside. This self-contained appliance comes with an easy to install venting kit that fits in most standard windows. In case your room does not have a standard window, then you can do simple modifications to ensure that it fits perfectly. Nevertheless, it is important to note that extending the exhaust hose can lower the efficiency of your cooling system. Although most portable air conditioners are installed the same way, it is important to follow the instructions provided by the manufacturer when installing your unit. Failing to set up the unit as recommended by the manufacturer can significantly affect the performance of your cooling system. It is, therefore, critical to go through the manual before installing your unit. Whether you are planning to install a portable unit in your living room, study room, office, or any other space, the venting system of your unit will need a suitable opening. In case you do not want to block your window, you can use your ceiling, door, or any other suitable opening. Installing your portable air conditioner properly will not only enhance its effectiveness but it will also spare you the stress of redoing the work again and again. → Need to know how? Find out here! Short version : Good question! Not if choose well. Choose Energy Star units. Our best portable ACs selection should optimize the power you consume for the cool you get. Before ordering a specific air conditioner for your home, it is important to consider its power requirements. 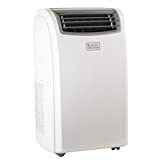 The amount of electricity consumed by a portable air conditioner mainly depends on the size of the unit, mode of operation, hours of operation, and make. If you are looking for a unit that will not cause your electricity consumption to spike, then you should go for a unit that is optimized to consume minimum power. Large air conditioners have large compressors and fans, and this makes them to demand more power as compared to small units. It is, therefore, advisable not to go for a unit that has higher capacity than what your space demands. Most manufacturers provide an estimate of the recommended space to guide you in selecting a unit that is suitable for your cooling needs. For best performance, you should select a unit that is recommended for spaces that are slightly larger than your room. Such a unit will not be struggling to cool your room, and it will not be wasting excess energy. Some air conditioners have additional features such as built-in heater and pump. Such additional features increase the power requirements of your unit making it more expensive to operate. If you want to cut the cost of operating your unit, then it is advisable to minimize use of such features. Furthermore, when selecting a portable air conditioner, you should go for an Energy Star rated appliance. Such appliances are designed to consume minimum power. The efficiency of most appliances decreases with time usually due to wear and tear. To cut power wastage and ensure that your unit maintains it efficiency, you should service it on regular basis. When servicing your unit, you should clean it, lubricate moving parts, and replace worn out parts. Moreover, you should avoid running your unit continuously unless when it is necessary to do so. → Get the right fit for your needs. Click here to our selection of the best portable ACs. Short version : yes, it will! A portable air conditioner is designed for cooling one room at a time. Unlike a central air conditioning unit, this self-contained system is not capable of cooling multiple rooms simultaneously. Considering that it combines all its components into a single package, it lacks the capacity required to cool multiple rooms simultaneously. 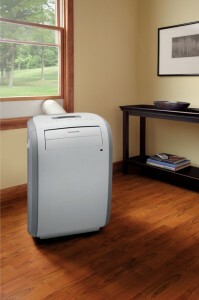 You can cool multiple rooms one at a time using a portable air conditioner. Its portability allows you to move it from one room to another with ease. Most portable systems have wheels that allow you to push the unit easily without needing a helping hand. In addition, most portable units have handles and they are light. It is, therefore, easy to carry the unit from one room to another. Unlike central and window air conditioning units that require permanent installation, a portable unit does not require permanent installation. This means that you can use the unit in the study room during the day and take it to the bedroom at night depending on your cooling needs. You can install this unit in less than half an hour. If you have a high capacity portable air conditioning unit and there is a large opening between one room and the next, then the cooling effect may be felt in the adjacent room. However, this is not an effective method of cooling a space since the flow of air between the two spaces is affected by walls. As such, a portable air conditioner is only suitable for cooling one room at a time. Short version : no, it won’t! Portable air conditioning units are available in different capacities. Some have high cooling capacities and they are suitable for large spaces while others have low capacities and they are designed for small rooms. 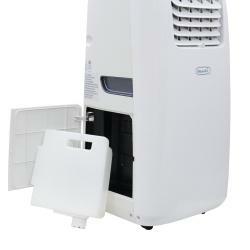 The cooling capacity of portable air conditioners is given in BTUs. When selecting a unit for cooling your space, it is advisable to consider its BTU rating and ensure that it is suitable for your space. Most manufacturers provide space recommendations to help users to select a suitable unit with ease. For best performance, it is advisable to select a unit that is recommended for spaces that are slightly larger than your room. Unlike central air conditioners, a portable air conditioner is not capable of cooling your entire house. To cool the entire house, you need multiple portable systems. However, a portable air conditioner allows you to move it from one room to another with ease. This means that you can use it in your living room during the day and move it to your bedroom at night. If your space is filled with items, then your air conditioner may not be able to cool it effectively. When installing your unit, you should ensure that its air intake is not blocked by walls or objects. Blocking the air intake of a portable air conditioner can cause it to overheat. Furthermore, you should ensure that your space does not have objects that can block air circulation. If there are objects that can block air circulation, then the unit may not be able to cool your entire space. 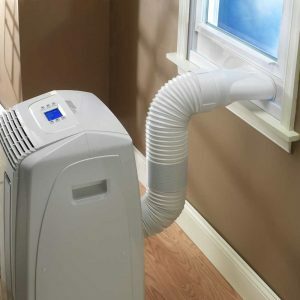 Considering that different rooms of your house are separated by walls, a single portable air conditioner cannot be able to cool the entire house. The effectiveness of a portable air conditioner can drop if it is not serviced on regular basis. If a unit is not serviced regularly, then it may not be able to effectively cool the space specified by the manufacturer. When servicing your unit, you should clean it, ensure that power cords are in good conditions, and replace worn out parts. Apart from enhancing performance, servicing your air conditioner on regular basis helps to minimize energy wastage. If the performance of your unit has dropped and it is no longer capable of cooling your entire living room or bedroom, then it is likely that lack of regular servicing is affecting its performance. Air conditioners come in different types and sizes to meet the diverse cooling needs of residential customers. A portable air conditioner, like the name suggests, is an appliance that cools the air and does not require permanent installation. This economical unit consumes less electricity as compared to central air conditioning systems. It is estimated that a portable air conditioner consumes less than an eighth of what a central air conditioner consumes. A portable system is, therefore, a suitable option if you are looking for a system that is not expensive to run. Portable air conditioners are available in different capacities. High capacity units are suitable for large spaces, and they consume more power. In comparison, small portable systems have less capacity and they are suitable for small spaces. Low capacity portable systems consume less electricity. Before selecting a particular unit for your living room, bedroom, or any other space, it is critical to consider the size of your space. A portable air conditioner performs optimally when the size of the space and its capacity are matched. Matching the two also helps to ensure that your room gets the desired temperature with little energy wastage. Running the air conditioner continuously can significantly affect your electricity bill. As such, it is advisable to run the unit only when it is necessary. This helps to cut the cost of running your air cooling system, thereby enabling you to save money. If you run it only when necessary a pick a great investment, you will be fine in terms of costs. Just like most appliances, the efficiency of portable air conditioners can be significantly affected by your maintenance pattern. You can improve the effectiveness of your unit by ensuring that it is serviced on regular basis. Appliances that are not serviced regularly tend to consume more power, thereby increasing the cost of running them. Furthermore, you can cut the cost of operating an air cooling system by ensuring that you select an Energy Star rated appliance. The cost of running Energy Star rated appliances is usually lower because they are optimized to consume minimum energy. Short version : In short, make the most of sales, don’t let it run when you are outside, and close your shutters when you are home! Although portable air conditioners help to ensure that your space has desirable temperature, the cost of running one can be high. As such, it is important to select a unit that is capable of effectively cooling your home without causing a spike in your electricity bill. To get such a unit, you will need to research well. Key considerations when selecting an economical unit for your cooling needs should include the capacity of the unit and power requirements. Portable air conditioners come in different capacities, and it is important to select a unit that is suitable for your space. Whereas you can use the recommended space size to select a unit for your room, it is important to know the some manufacturers can exaggerate the BTU ratings of their products. A unit with a smaller BTU rating than the one demanded by your space will struggle to cool your room while a bigger unit will consume more energy than it is necessary. For best performance and maximum cost saving, it is advisable to select a unit with a slightly higher rating than the one recommended by your manufacturer. Furthermore, selecting an Energy Star rated appliance can help to cut the cost of operating your appliance. 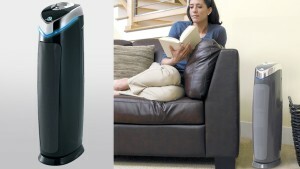 Energy Star rated appliance waste minimum energy. Running your portable air conditioner continuously can cause a significant shoot in your electricity bill. As such, it is advisable to turn off your air conditioning unit especially when you are outside. Doing so can help to significantly cut the cost of operating your unit, thereby enabling you to save money. Most of today’s portable units have timers that allow you to program the unit depending on your cooling needs. When used properly, this feature can help you to cut the amount of electricity consumed by your unit. Openings on the wall, ceiling, and so on can allow hot air to find its way back into your room, thereby reducing the effectiveness of your cooling solution. To prevent that, you should close shatters and all openings that are likely to allow hot air to get into your room. → What will same you most is picking a quality product. We help you pick here! Short version : for 90% of users, we think so. High temperatures can ruin the environment of your room and make it an unsuitable place for you and your family. An air conditioner is capable of cooling your space to ensure that it has the desirable temperature. In addition, this self-contained cooling solution allows quick and easy installation. As compared to a window air conditioner, a portable AC does not require permanent installation, and you can, therefore, move it from one room to another depending on your cooling needs. This unit comes with an easy to install window venting kit. This kit allows you to exhaust hot air from your room through the window, ceiling, on any other suitable opening. On the other hand, a window air conditioner requires permanent installation and it does not allow you to move it from one position to another easily. Some spaces may not have a suitable position for a window air conditioner. 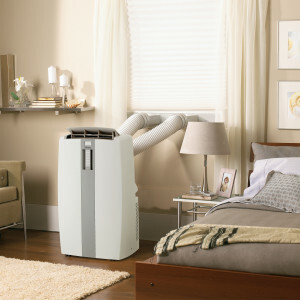 The flexibility of a portable air conditioner allows you to install it in such rooms. As long as there is an opening, you can install a portable AC with little or no modifications. Furthermore, a portable cooling system can allow you to cool more than one room. You can easily move your unit to the study room during the day and return it to your bedroom at night. Are you more interested in efficiency than flexibility or ease of installation? If your answer is yes, then a window air conditioner may be a better option for you. It offers an efficiency that is slightly higher than that of a portable AC. Nevertheless, most people prefer a portable AC due to its flexibility and portability. → We help you pick the best portable air conditioner here!. Or find a window AC on Amazon! Short version : To exhaust warm air outside. A portable air conditioner extracts heat from the air in your room and exhausts it to the outside to ensure that your space has cool air. The hot air is vented out through a window or any other suitable opening on the wall or ceiling of your room. Most portable air conditioning units come with an easy-to-install window venting kit that contains all the parts that you need. This kit consists of connection adapters and exhaust hose. How does a portable air conditioner extract heat from the air in your room? To start with, a portable air conditioning unit uses the same principle of operation as other types of air conditioners to cool the air in your room. This self-contained system uses a fan to pull air from your room. As incoming air passes over the coils of the evaporator, it loses its heat to the refrigerant fluid. Be cold inside, leave the warm outside! The vaporized refrigerant is then compressed before it is made to flow through the coils of the condenser. As air passes over the pipes of the condenser, it absorbs heat from the refrigerant. This warm air is exhausted to the outside through the exhaust hose. It is through venting that a portable air conditioning unit discharges hot air to the outside, thereby ensuring that your space has cool air. What would happen if you do not vent the hot air extracted from your room? Failing to exhaust the hot air captured from your room renders your air conditioning unit useless. To enhance the effectiveness of your cooling system, you should ensure that exhausted air does not find its way back into your room. 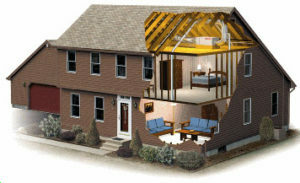 Allowing hot air back into your room reduces the effectiveness of your cooling system. You should use the instructions provided by the manufacturer when installing the venting system of your portable AC for maximum effectiveness. Short version : no! Most portable AC’s emit noises under 65 dB. Check out our selection of silent portable ACs. An air conditioner plays a critical role in ensuring that your home has a favorable environment. Whereas this appliance helps to effectively control the temperature of your bedroom, living room, or office, it can pollute the environment of your space by producing a disturbing sound. As such, it is important to consider the noise rating of an air conditioner when selecting a unit for your space. If you are looking for a suitable air conditioner for a space that demands quietness, then it is advisable to go for a unit that runs quietly. Overexposure to noise can put your health at risk, and it is, therefore, critical to select whisper quiet appliances. Research has shown that people who are overexposed to high levels of noise are more likely to experience loss of sleep, increased stress levels, hearing problems, blood pressure problems, and so on. As such, it is important to ensure that your unit does not expose your family to disturbing sounds. The amount of noise produced by an air conditioner is measured in decibels, and the measuring device is known as a decibel meter. Most air conditioners produce 55 to 70 dB of noise. The amount of noise produced by an air conditioning unit mainly depends on the speed at which the unit is running, size of the appliance, and the make. Although all air conditioners produce sound, some are optimized to produce less noise. Such appliances are suitable for study rooms, living rooms, and other spaces that demand quietness. Portable ACs are always less than 70 dB. Some are around 55dB. Large air conditioners tend to produce more sound than small units. This is mainly due to the fact that they have bigger fans, compressors, and air handlers. Nevertheless, some large air conditioners are designed to produce minimum noise and they are, therefore, less noisier. If your air conditioner has started producing more noise, then it is important you find out the source of the disturbing sound before looking for a solution. If you are unable to diagnose the problem on your own, it is advisable to contact a professional for help. Slight increases in noise are mostly caused by loose parts or failure to lubricate the moving parts. You can address the problem by ensuring that your unit is serviced on regular basis. → Is noise a problem? Click here to see our selection of the best silent portable ACs on the market! Short version : they all use a refrigerant which should not leak. A portable air conditioning unit uses a refrigerant to cool the air in your room and exhaust hot air to the outside. It changes states thereby allowing easy heat transfer. When warm air is drawn to the cooling chamber of a portable air conditioner, it passes over the coils of the evaporator. The low pressure Freon in the cooling pipes absorbs heat from the incoming warm air and evaporates. This causes the incoming air to cool. The cooler air is blown back to into the room. From the evaporator coils, the vaporized Freon flows to the compressor where it is compressed. The compression process increases the temperature and pressure of the refrigerant. From the compressor, the high pressure liquid refrigerant flows to the condenser coils. As air passes over the coils of the condenser, it absorbs heat from the liquid Freon. The warmer air is exhausted to the outside through the exhaust hose. From the condenser coils, the refrigerant flows to the evaporator, and the cycle is repeated again and again until the desired temperature is achieved. Although Freon plays a critical role in eliminating excess heat from the air in your room, it is a dangerous gas when deeply inhaled. In gaseous state, Freon is odorless and tasteless, and it may not be easy to detect a minor leakage. Exposure to a low amount of Freon can cause dizziness, headaches, heart palpitations, and irritation of the eyes, lungs, or skin. When inhaled in high amounts, Freon can cut off the supply of oxygen to vital body organs. As such, it is critical to ensure that your family is not exposed to a Freon leakage. 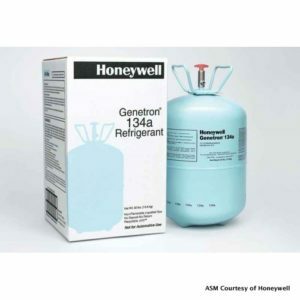 If you suspect that your appliance is releasing Freon, you should immediately remove it from your house to avoid exposing yourself and your family to high amounts of this toxic gas. You should then contact an expert to check the appliance and fix the problem. → Always make sure refrigerant is not leaking. Short version : it is part of installing your gear. Find out how! Most portable air conditioners come with an easy to install window venting kit. You don’t necessarily need a pro! You can unpack your system and install it in less than one hour. However, if you are venting your system through a non-standard window, you may need to do some modifications and the installation process may demand more effort and time. Before starting the installation process, it is important to ensure that you have everything that you need. Other items that you may need apart from the window venting kit include a measuring tape, a marker, a saw (in case you will need to do some modifications), a utility knife, and soapy water. You may need more items especially if you are not venting your system through a standard window. You can exhaust hot air from your space through an opening on your window, door, floor, wall, or ceiling. It is easier to vent your system through a standard window. In case your room does not have a suitable opening, then you may need to create one on the floor, ceiling, or wall. The effort and time required to install your venting system depends on your venting opening. If you are venting your system through a vertical or horizontal sliding window, then minimum effort will be required. It is important to ensure that your window kit fits well in the opening. This helps to ensure that hot air does not find its way back into your room. You can trim your window kit to ensure that it fits well in the opening. Alternatively, if it is possible, you can expand your opening. Attach the adapter and install the window kit. Close the window to ensure that the window kit is securely help in place. Attach hose adapters/connectors to your portable unit and insert the exhaust hose/hoses. Connect the exhaust hose to the adapter of the window kit. It is that easy. Congratulations, you have vented your cooling system! Short version : yes! It is collected in a tank that should be emptied from time to time. 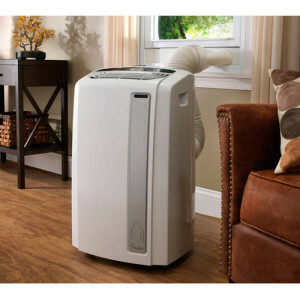 Just like dehumidifier, a portable air conditioner captures some moisture from the air in your room. Airborne moisture condenses on the cooling coils as the refrigerant absorbs heat from incoming warm air. The cooling coils are usually freezing cold and this causes water vapor to condense on their surface. The amount of water captured by a portable air conditioner mainly depends on the amount of excess moisture in the air. In high humidity places, a portable air conditioner can capture a lot of water. Most air conditioners have a reservoir for collecting the condensate. In low humidity environments, a portable air conditioner can run for many days without filling the tank. However, in high humidity environments, the unit can fill the tank in hours. You can empty the water manually or you can drain the water to an external sink by gravity. Most portable air conditioners have an indicator that alerts you when the reservoir is almost full. They are also designed to shut off automatically when the tank is full. This ensures that water does not spill on your carpet or floor. In high humidity environments, the unit can be attention demanding, and this drainage method is, therefore, not a suitable option for such places. Draining the condensate under gravity enables your portable system to run for days without shutting off or demanding your attention. It is important to note that the water captured by your air conditioner is not suitable for human or animal consumption. It contains a variety of harmful contaminants that can cause diseases. Air conditioners are not constructed with food grade materials, and the water captured by these units is likely to have compounds that can harm your body. You can use the condensate to water your lawns and flower garden, clean your car, and so on. It is advisable not to use the condensate for watering your fruits, vegetables, and other edible plants. Short version : yes! Before and after summer It will save you money and time. Just like other appliances, a portable air conditioning unit requires regular servicing. This helps to enhance the effectiveness of your appliance. If the performance of your portable unit has dropped, then it is likely that you have not been servicing it regularly. Apart from enhancing the performance of your unit, regular maintenance helps to ensure that the cold air being blown into your room is fresh and it is not contaminated by allergens and microbes. The air in your room can contain a wide range of airborne contaminants. 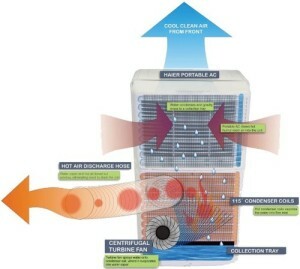 Some of those airborne particles can accumulate on the surface of the evaporator and condenser coils. Accumulation of such particles lowers the effectiveness of the coils and affects the overall efficiency of the portable unit. This can result in reduced performance and wastage of power. When servicing your unit, you should clean the coils to enhance the performance of the unit. The coils of a portable air conditioner provide a suitable environment for the growth and multiplication of airborne allergens and microbes. If those surfaces are not cleaned on regular basis, then such pollutants can multiply within a short time and contaminate the cool air provided by your portable system. If you have been coughing, sneezing or experiencing allergic reactions, then it is likely that your air conditioning unit is the source of the irritants. Service it and forget it! The exhaust hose of your air conditioner can have a wide range of airborne particles such as debris, insects, dust, and so on. When servicing your air cooling system, it is advisable to dismantle the venting system for thorough cleaning. The filter of your portable air conditioner can be clogged by trapped airborne particles. They can reduce the effectiveness of this essential part and it is, therefore, important to clean it on regular basis. If you have not been servicing your air cooling system, then it is likely that its efficiency has dropped. Failing to clean your system also encourages growth and multiplication of harmful allergens and microbes. For best performance, you should service your portable air conditioning system on regular basis. → Service your gear. This is the best investment you can make, along with picking the right AC unit for your needs!